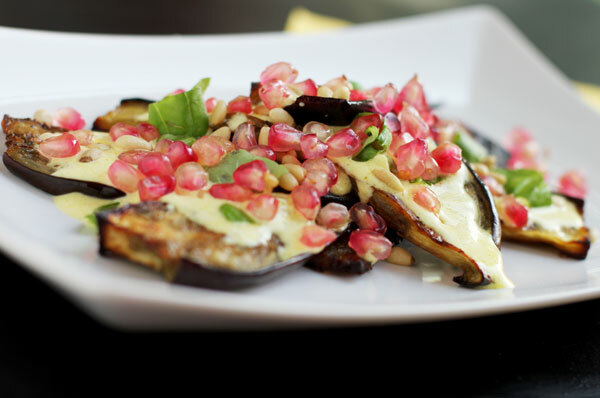 The salad is made of the roasted aubergine, pine nuts, pomegranate seeds and the saffron yoghurt. 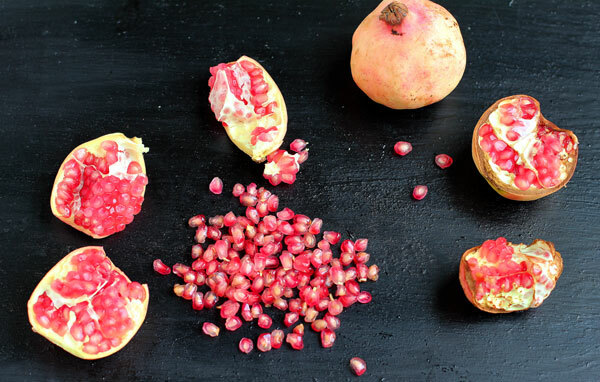 I have struggled slightly with seeding the pomegranate but then I found this guide at The Kitchn. 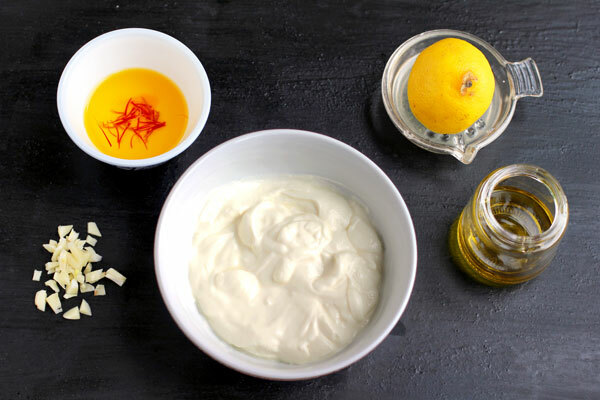 The saffron yoghurt is actually quite simple, compared to some other Ottolenghi recipes. It improves rapidly after a couple of hours in the fridge when all the flavours come together. 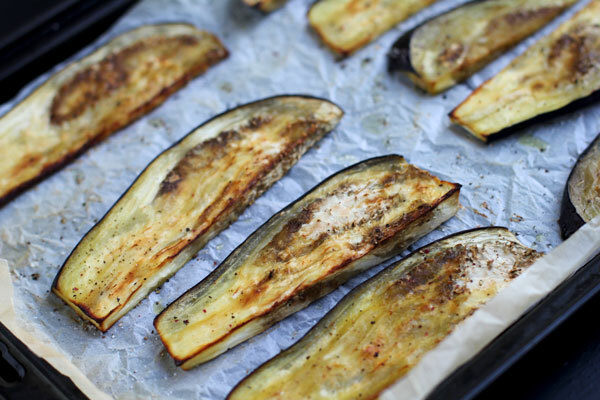 Slice the aubergine, drizzle with olive oil and bake it. And then just assemble the salad, top with some roasted pine nuts and basil and serve. Enjoy with a glass of white wine. Mix the saffron with the hot water in small bowl and leave to infuse for 5 minutes. Chill in the fridge for at least couple of hours. Toast the pine nuts in the oven or in a pan until fragrant but not brown. Cut the aubergine in half both ways and slice lengthways into stripes. Put on a baking tray, sprinkle withs salt and pepper and drizzle with olive oil. 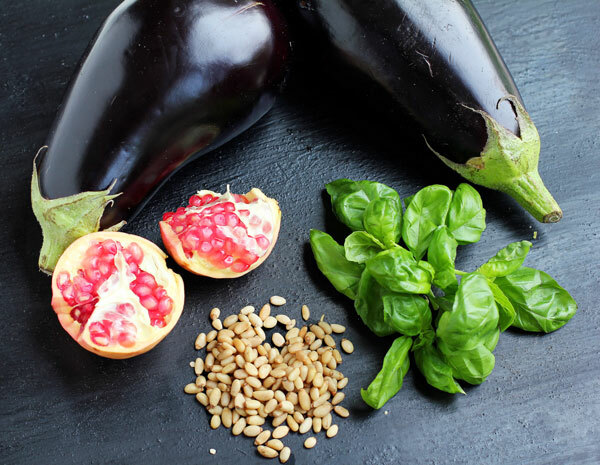 Bake the aubergine for 10-15 mins on both sides until golden brown. Let the slices cool down. 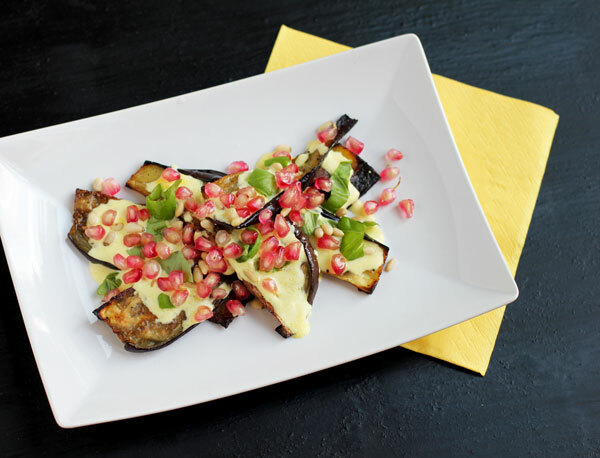 To serve, drizzle the aubergine with the saffron yoghurt and sprinkle with pomegranate seeds, pine nuts and basil leaves. Welcome back ;-) vypada to skvele. chybela jai nam, samozrejme nejen ty delikatesy a krasne fotky…..